The 1000 Series is geared to handle tough agricultural environments. The internal filter or optional external filter protects ports from plugging. There is no “continuous bleed” port which minimized blockage potential and the improved cage design more effectively passes debris. A modular design provides ultimate flexibility in valve style and connection type while simplifying installation, trouble-shooting and maintenance – great for the grower, installer and system designer! The “Flex-Connect” approach allows for “mixing and matching” ends. Example: On an inline valve you can choose a 3" victaulic inlet and a 2" victaulic outlet. Nelson valve sizes should be selected based on flow needs as opposed to pipe sizes. Because of the high level of efficiency it is common to select a 2" valve when using 3" pipe. 1000 Series valve applications include zone control for sprinkler or drip irrigated row crops, nursery crops, orchards and vineyards. The valve fits perfectly under a Big Gun® for solid set irrigation, end of pivot solutions and a variety of environmental controls including fire suppression, dust suppression and cooling. 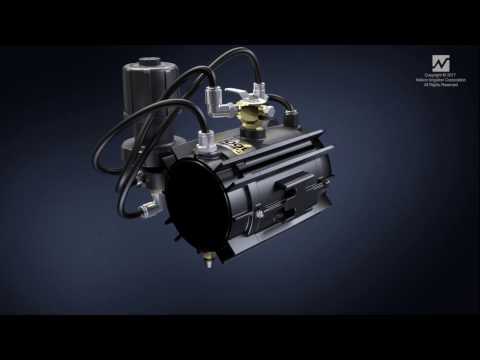 The unique design of the 1000 Series Valve will change the way systems are designed and managed. GO TO 1000 SERIES "RESOURCES" TO FIND CAD FILES TO INCORPORATE INTO DRAWINGS.